Historical reconstruction of Corfe Castle in Dorset, United Kingdom. Part of a final year project for Computer Animation at the University of Portsmouth by Ciprian Selegean. 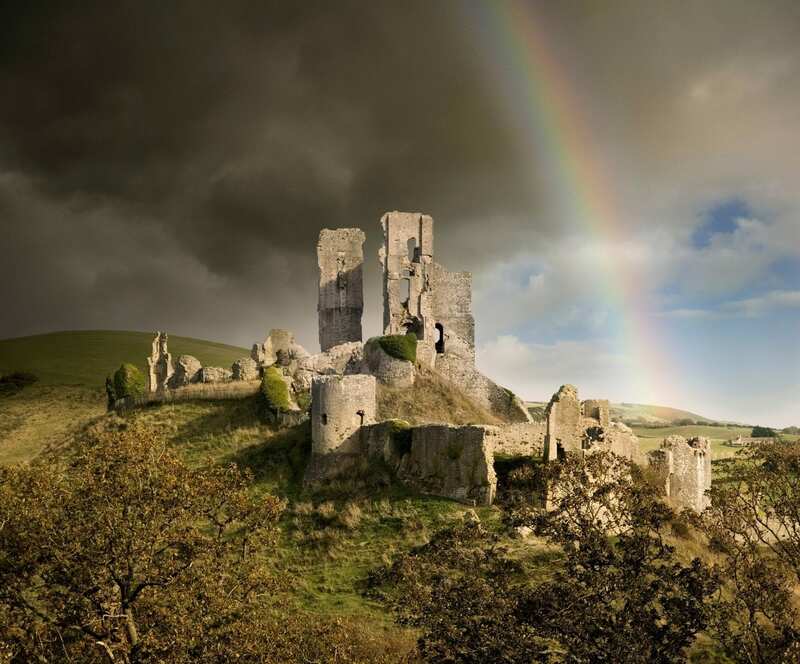 In 1572, Corfe Castle left the Crown’s control when Elizabeth I sold it to Sir Christopher Hatton. Sir John Bankes bought the castle in 1635, and was the owner during the English Civil War. His wife, Lady Mary Bankes, led the defence of the castle when it was twice besieged by Parliamentarian forces. The first siege, in 1643, was unsuccessful, but by 1645 Corfe was one of the last remaining royalist strongholds in southern England and fell to a siege ending in an assault. In March that year Corfe Castle was demolished on Parliament’s orders. Owned by the National Trust, the castle is open to the public and in 2010 received around 190,000 visitors. It is protected as a Grade I listed building and a Scheduled Ancient Monument.